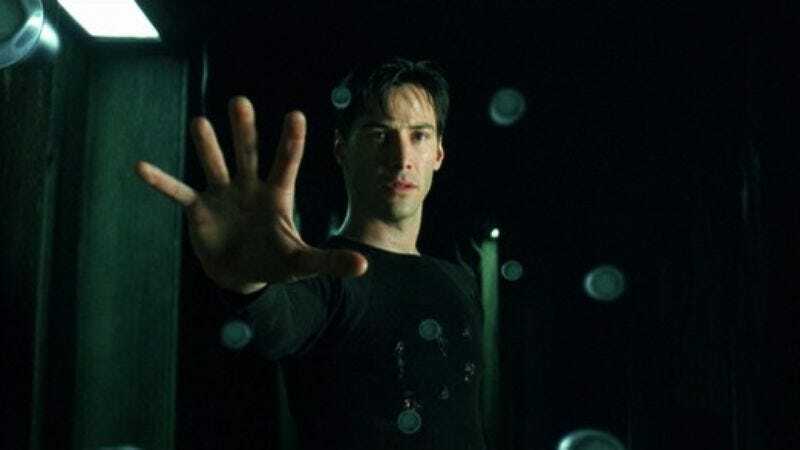 The Matrix is remembered for a lot of things: the influential technical aspects like the use of bullet time and 1990s CGI that managed to not look terrible; the imaginative world-building that was richly expanded in The Animatrix and greatly confused with the film’s actual sequels; and, of course, a bunch of people doing bad Keanu Reeves impressions saying, “I know kung fu.” But one thing people often forget to acknowledge about The Matrix is that it’s just a damn well-made movie. This fact can be attributed in part to the film’s use of transitions, which allow a glut of complex visuals and lore to be translated into a smooth and tightly constructed story. In a new video essay, Patrick Willems examines the Wachowskis’ use of transitions over the course of The Matrix’s three acts, highlighting exactly why they’re so effective. For example, the entire first act can be broken down into eight scenes, half of which begin with Neo waking up. This repetition, combined with some well-placed music cues, gradually introduces the audience into the idea that there are two worlds: the fake, dreamlike world of the Matrix, and harsh, grim reality. The film’s second and third acts pick up the pace a bit until we’re knee-deep in a full-blown action movie. To accomplish this, the Wachowskis use what film theorist David Bordwell calls the hook—“an audiovisual texture linking an element from the end of one scene to one at the beginning of the next.” These smaller details aren’t necessarily things you’ll notice on your first or second watch, but they have a big effect on the way a movie flows and can mean the difference between a forgettable sci-fi thrill ride and a massively successful franchise.